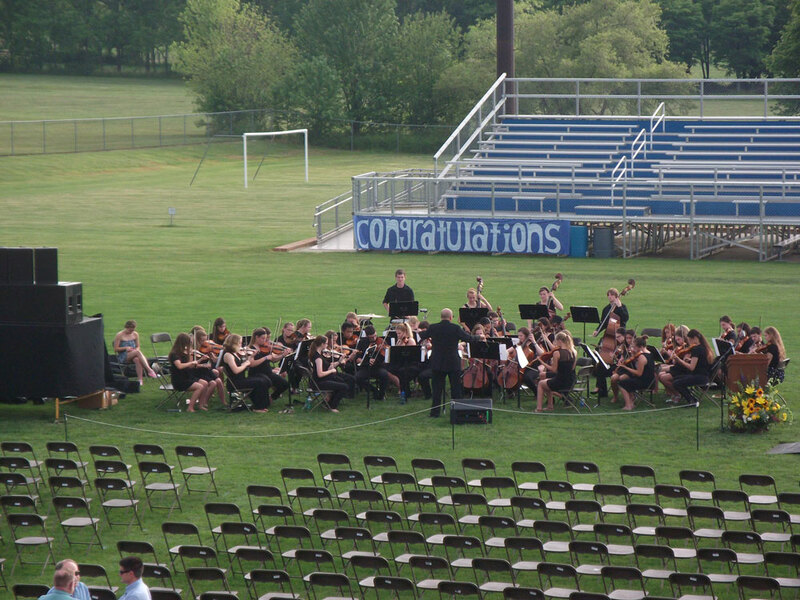 Assistant Principal Mr. Benjamin Feeney was next to take the microphone. 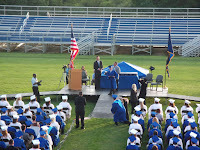 Feeney officiated at graduation in his first year at L-S, as Mr. Spencer had a child graduating at Garden Spot, and Dr. Rimmer’s daughter Mallory graduated during the ceremony. 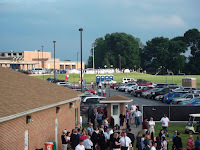 Unfazed, Feeney congratulated the class on its achievements, noting that it helped L-S High School earn a silver medal from US News and World Report for three consecutive years, and additional recognition from the Pennsylvania Department of Education. 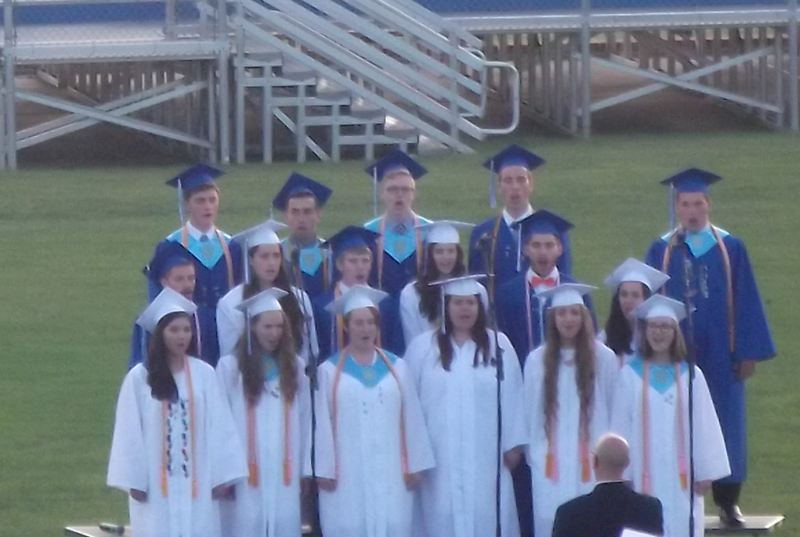 Subsequently, a group of senior vocalists offered L-S one final mellifluous remembrance, proclaiming that there was “no need to say goodbye” with Regina Spektor’s “The Call”, specially arranged by graduate Aaron Smith. 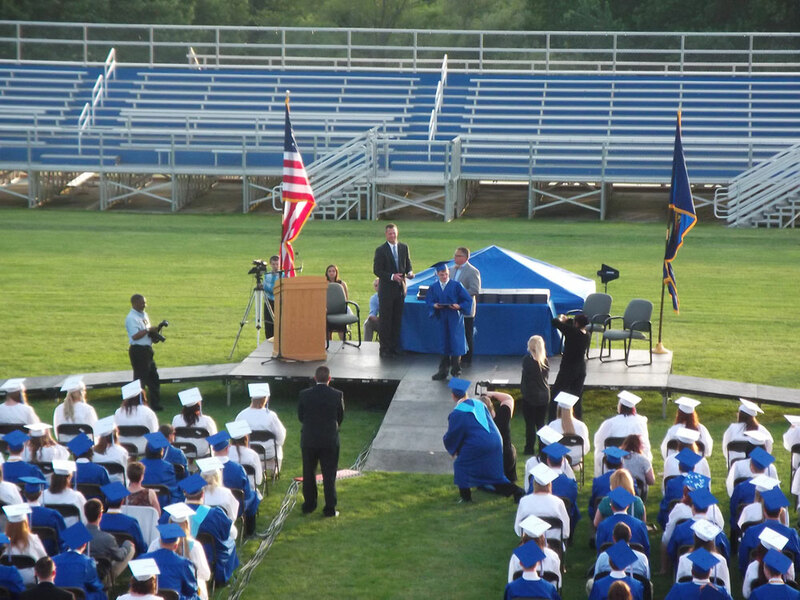 Feeney proceeded to announce those earning top scholastic achievement, the Valedictorian, Salutatorian, and third in class award. 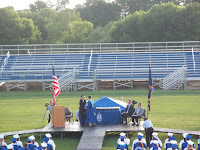 Ethan David Emmert was named Valedictorian. After some awkward maneuvering waiting for the photographer to take a picture, Feeney named Marah Lucy Brubaker salutatorian. Having improved the photograph’s choreography from his first experience, there was less of an awkward pause before Kelsey Nicole McNaul was named third in class. Brief remarks from superintendent Dr. Kevin Peart soon gave way to the class roll call and awarding of ceremonial diplomas. Class treasurer Danielle Franklin and secretary Olivia Gleason announced the names of the 245 graduating seniors, and the crowd largely maintained a respectful tenor, notwithstanding sporadic outbursts of congratulations for a few graduates. 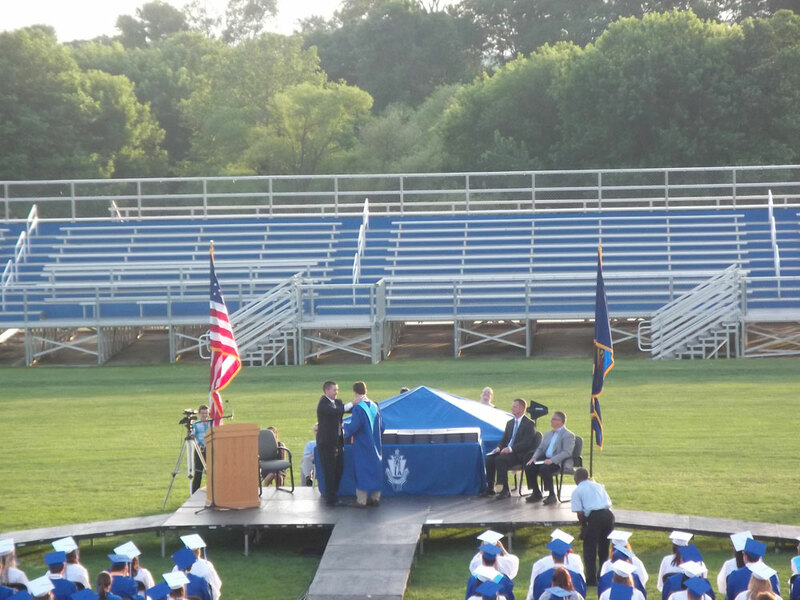 School Board President Jeffrey Mills’ proclamation that the class of 2015 had duly graduated high school catalyzed an eruption in raucous applause. 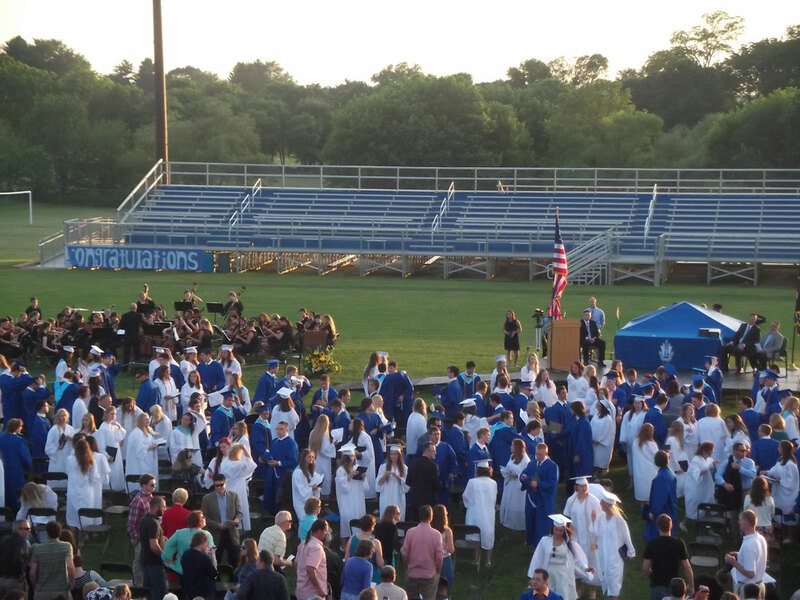 As class president Brian Joseph Barnhart gave the class the direction to turn its tassels, symbolically recognizing them as graduates, commencement drew to a close. Just one hour after the ceremony began, the young men and women who entered as students exited as graduates. 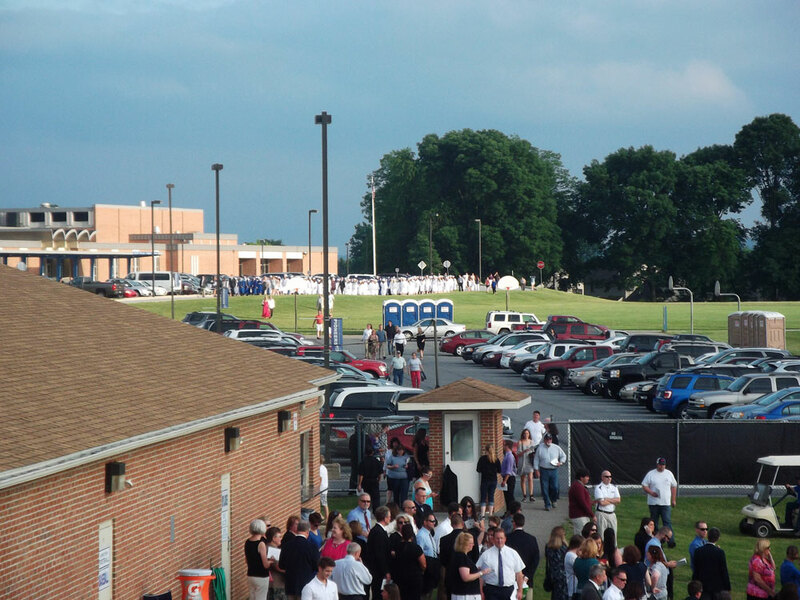 And as the resplendent sunshine gloriously set over the visitors’ bleachers at Pioneer Field, so too did the Class of 2015’s time at Lampeter-Strasburg. But just as the sun’s setting signals the end of one day to prepare for the dawn of a new one, the ceremony signals the end of one chapter in 245 graduates’ lives in preparation for the dawn of another.